Burgundy is coming to New York City to celebrate Burgundy Wine Week 2012 for a week of festivities from Wednesday May 2nd through Wednesday May 9th. The purpose of the upscale event is to introduce New Yorkers to some of the best Pinot Noir in the world, and Chardonnay from one of the most prestigious white wine producing areas. Burgundy is known as the most terroir-conscious wine region of France. Tastings will be held at dozens of metropolitan area wine stores, restaurants and other venues. 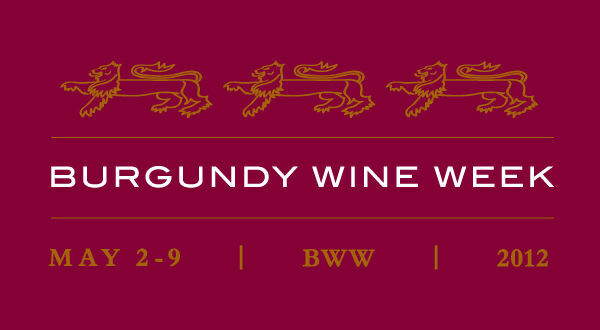 Schedule available at facebook.com/burgundywineweek. On Monday, May 7 the public is invited to enjoy a special lunch at La Bonne Soupe, a New York institution since 1973, to taste the incomparable Gamay grape as it explodes in the wine of the 12 villages of Beaujolais wine country including sublime vintages from Morgon, Julienas and Moulin a Vent. $45, 48 West 55th Street. 12:30pm. RSVP to (212) 586-7650 or http://burgundywineweek.eventbrite.com/. Tuesday, May 8 - The team at Gabriella Wines will welcome key members of the trade and press. 633 Third Ave. @ 40th Street. 7:30pm. Night of Le Burgundy Cocktail Nouvelle: Drink. Dance. Delight. Wednesday, May 11 - The final night of Burgundy Week will celebrate the new art of the “wine cocktail” at Le Colonial, the romantic restaurant reminiscent of Vietnam during its French colonization. At this festive tasting, a deejay will spin tunes while three prominent mixologists put their contemporary spin on Kir, the classic cocktail that hails from Burgundy. SPECIAL BONUS: Revelers are invited to taste the ambrosial new cocktail brought to you by the folks at Saint Germain, the ethereal elderflower liqueur, and Burgundian sparking wine Veuve Ambal. 8 – 11pm, Le Colonial, 149 East 57th Street. 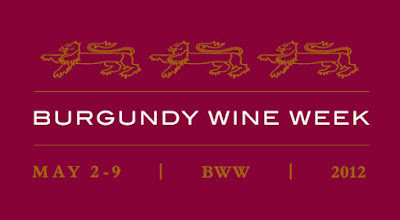 $45 for one ticket, $70 for two (use promo code BWWBUY2), RSVP at http://burgundywineweek.eventbrite.com/.